Whether your next outdoor project involves tackling your garden or front lawn, John Deere has a wide array of equipment to help you with the task at hand. There are a number of John Deere accessories and products that can take on everything from standard mowing to tilling, depending on your needs. Let’s take a look at some of the John Deere equipment you can use for your next outdoor project. Tailgating has become a huge tradition in the American culture, providing people with a way to display their support at sports games, concerts, and other celebratory events. For agriculture enthusiasts, no tailgate party is complete without the iconic John Deere logo that gets them even more psyched for the special day. Whether you’re preparing for a tailgate party or just looking for an excuse to host one, having the right supplies will make the journey a little easier. Let take a peak at 10 John Deere necessities that will help host an epic party this summer. Loyal Deere fans like to incorporate the brand into all aspects of their life, owning everything from John Deere row crop tractors to daily apparel. Among this wide variety of items, John Deere horse accessories shouldn’t be forgotten. 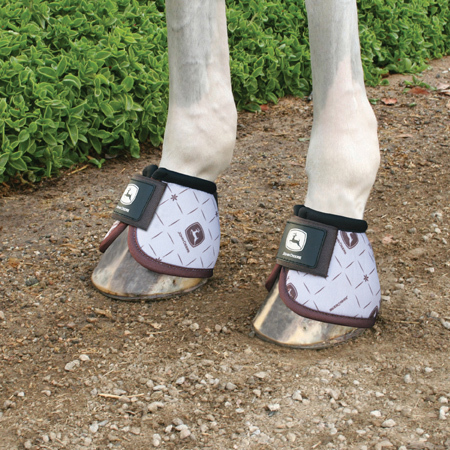 Every horse lover desires reliable products that will cater to their favorite animal’s needs. We’ve put together a list of seven John Deere horse accessories that will put the spring back in your horses step.